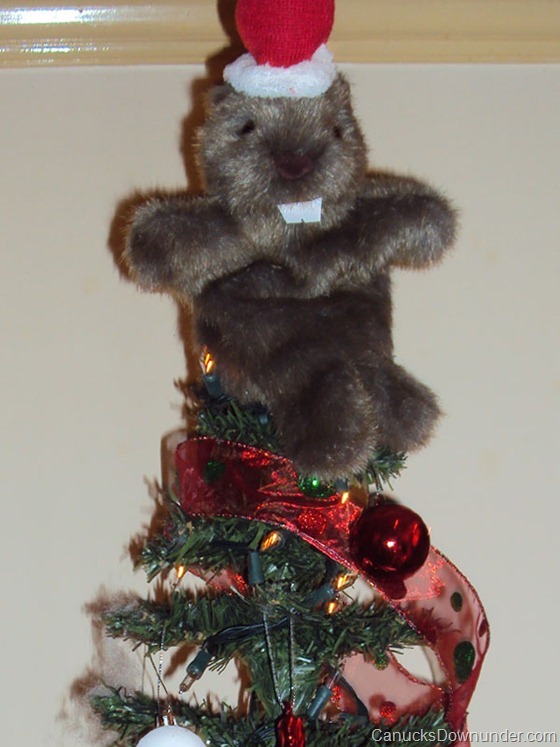 This is our beaver Christmas tree topper – we picked up a wombat puppet at the toy store and added the buck teeth and paddle tail! We thought it would be a fitting ornament to add that finishing touch to our Canadian themed red and white tree. 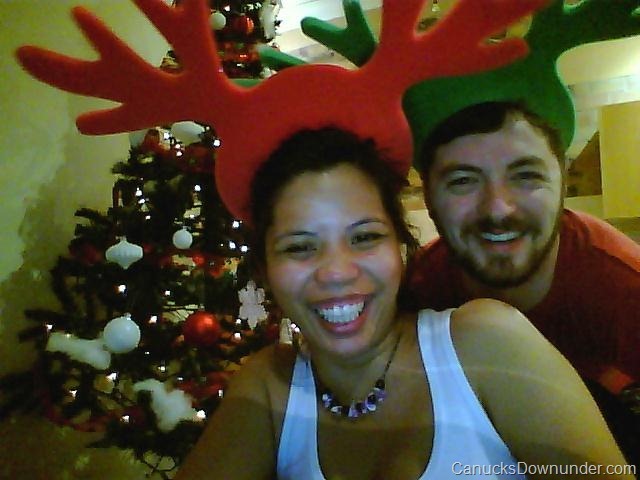 Jason and I were lucky to find an ornament set that even had snowflakes and icicles. 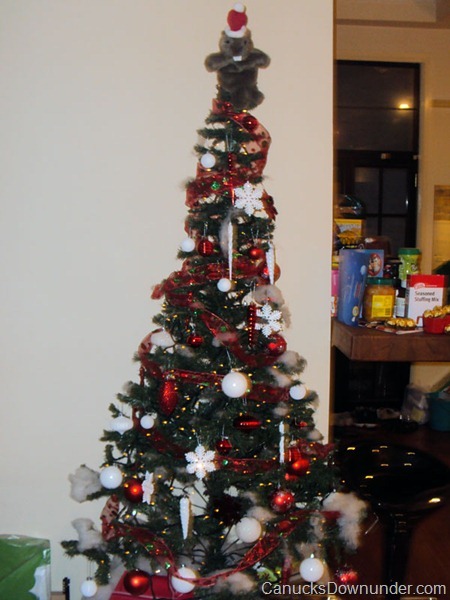 Jason even had the lovely idea to add bits of snow (cotton batting) all over our tree. Though it was hard to imagine celebrating the holidays so far away from family and friends, it was even harder to get into the holiday mood without the usual blistering cold and snow fall for that typical white Christmas but I think we managed to create a bit of it here. We wish and hope that you all enjoy the holidays as much as we have! With love and best wishes, sprinkle hearts!